Successfully Added Ulefone Power Smartphone - Dual SIM 4G, Android 6.0, 5.5 Inch IPS Screen, 3GB RAM, 64Bit Octa Core CPU, 6050mAh Battery (Black) to your Shopping Cart. 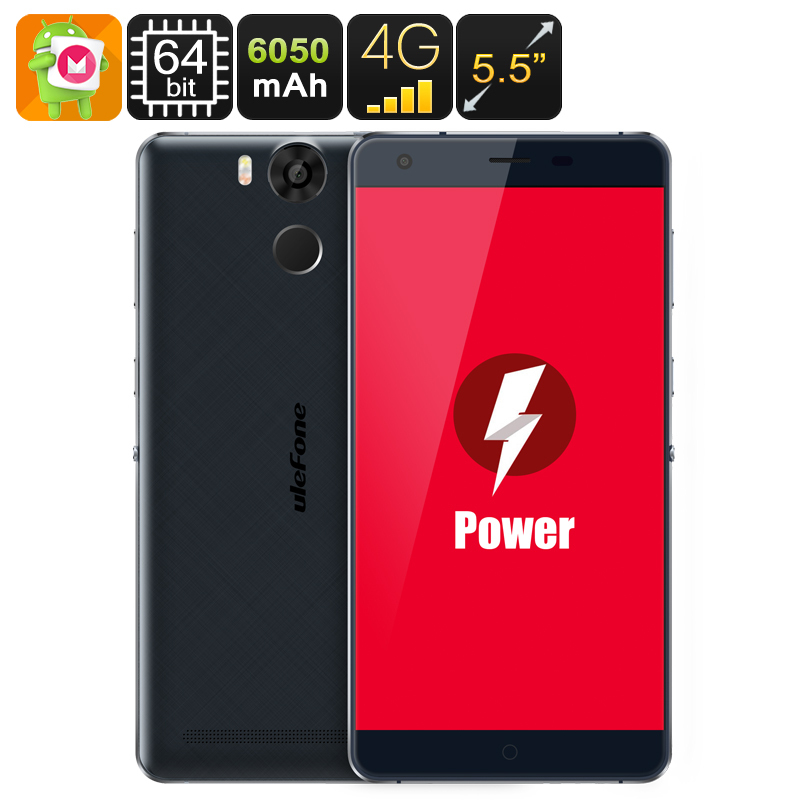 Power by name and power by nature, the Ulefone Power has a massive 6050mAh battery that enables it to run its Octa Core CPU, 3GB of RAM and host of great features for a spectacularly long time. Now you know why it's called the Power phone. The Ulefone Power phablet sets you back less than $200 and you get a lot for your money, For starters there is the Octa Core 13GHz CPU and a massive 3GB of RAM. This ensures a strong performance whether playing games, movies, multitasking or doing all three at once. To meet the demands of this setup the team at Ulefone built the Power around a 6050mAh battery that brings as much as 63 hours of talk time or about 75 days in standby. So when every other phone as run out of power this beast will still be going strong. No need to worry about wasting time charging wither as the Ulefone Power adopts Quick Charge technology so with its special charger the battery will go from 0 to 100% in just a couple of hours. Don't want to wait around that long, no problem, even 5 minutes of charge time will being enough power for a couple hours of talk time. To ensure the best viewing angles and this phablet phone has a 5.5 inch IPs screen so you will always have bright crystal clear images to work with on the display. Add to that the smooth curved glass 2.5 Arc screen its a dream to use. To ensure a long life the screen is protected with Corning's Gorilla Glass 3 making it scratch proof and highly resilient to damage. There are a host of added features on this Android 6.0 phone such as smart wake, gesture sensing, smart motion and fingerprint scanning making it more secure and easier to use than your average Android 6.0 Smartphone. You can even take control of your home electronics and appliances thanks to the IR remote control function. this will let you change TV channels, control the Air con, switch tracks on your music player or just have fun playing tricks on those around you.